Rate this Article The Xbox One X is finally out. Tagged as the most powerful video game console to date, let's try to see why this new and powerful system doesn't have a VR headset that comes with it. The much-anticipated Xbox One X was recently released last Nov. 2017. 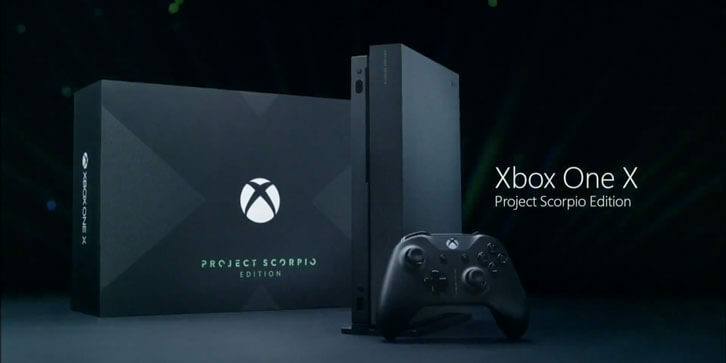 Xbox One X is the 2nd upgrade to the Xbox One console series with the first being the Xbox One S, which was released as a remedy to the poorly implemented Xbox One. The model S did well as a console though it still didn't have the capability to provide the stiff competition Microsoft had to face from Sony with the PS4. The release and following popularity of the PS4-PSVR combo console and HMD catapulted Sony to the lead of the high-end VR market. This was a great dent to the Microsoft Xbox and its fans all over the world. PlayStation fans had access too and where enjoying VR gaming while the Xbox was left behind. Finally, the Xbox One X was launched. It, by all means, is an awesome machine and tagged as the most powerful gaming console to date. However, a lot of Xbox fans went home disappointed. If there was one thing the Xbox One X lacked, it was a VR headset. People were asking where the PSVR buster was but there was no headset in sight. Now before we go ranting on Microsoft, let's try to see why the company chose not to push for VR when it came to their newest console. The Xbox One X is actually a very powerful machine designed to wipe out the mistake and unforgettable fiasco which was the Xbox One. The first Xbox was not the only kind of obtrusive in shape, it demanded a few things like mandatory online connectivity and an Xbox One Kinect which jacked the price up by an extra 100 bucks. It also performed rather poorly and was marketed as more of a machine that lets you watch movies and TV than do what it was intended to do let you play great video games. Microsoft then tried to remedy the situation with the Xbox One S which was light in color, slim and a beautiful machine. Despite this, however, the S model still won't be able to go toe-to-toe with the PS4 especially with the release of the PSVR. The Xbox One X, on the other hand, has the advantage of being a really powerful games console with backward compatibility. With the proper monitor, the console can display up to 4K of resolution and has a blue-ray player at the same time to boot. If you run an old game from the Xbox 360 days, the Xbox One X will adjust the resolution of the game up to 4K but maintain it at a high quality and stable 1080p if 4K cannot be available. The console comes with a 1TB hard drive which can hold up to 10 games in storage at any one time. A max of 2 external hard drives can be connected if you want to maintain more games and data. With this going for the new Xbox, one would really wonder why there is no VR. Microsoft is currently heavy at work on the development of Mixed Reality. That means VR and AR mixed together with a dash of sugar in between. They are currently developing the environment to run on Windows 10 and already have partnered with several developers for both software and hardware. The company is pushing for the AR paradigm as with the success of the Hololens not only in gaming but in other practical applications as well. No one really knows for sure what Microsoft is really up to (except of course Bill Gates and company) but one could speculate where the company's direction is heading too. Microsoft reps have been giving hints that the company might release a mixed reality HMD that will finally work with the Xbox. Also, the weakening market of home-based VR in the games industry may have triggered caution on the part of Microsoft when it came to the development and alignment of their product line. The VR industry is beginning to see a shift from games to serious applications though much stronger in the use of AR. Microsoft definitely has plans for releasing some form of HMD for console gaming but again based on hints, there is a shift for a uniform compatibility for Microsoft dependent devices as in a possible headset that will work for both Windows PC and Xbox at the same time. Let us remember that VR is still new. It's imperfect, still has a lot of quirks to iron out (like the price for one) and still in the process of development. As so, we can only speculate on the fate of VR on the Xbox One X or simply the Xbox for that matter. For all we know, there may be a newer Xbox model once again by the time the mixed reality HMD they are working on will be ready for the market. Let's just keep our toes crossed, wait patiently and see what happens.